…the German chancellor denied any such plan was in the works, saying “there is absolutely no question of it”. “We have a (European) treaty under which there is no possibility of paying to bail out states in difficulty,” Merkel told ARD public television. 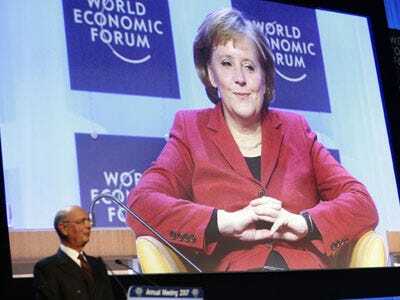 “Right now we can help Greece by stating clearly that it has to fulfil its duties,” said Merkel, adding that Greece had to “show great courage” in order to resorb its deficits and restore its “lost credibility”.